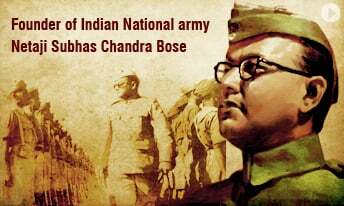 Subhash Chandra Bose was one of India’s greatest freedom fighter. 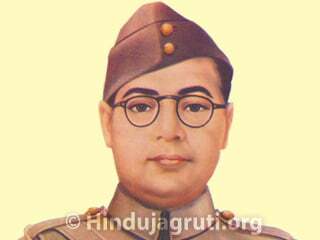 He revived the Indian National Army, popularly known as ‘Azad Hind Fauj’ in 1943 which was initially formed in 1942 by Rash Behari Bose. Netaji Subhash Chandra Bose had visited London during pre-independence period to discuss the future of India, with the members of the Labor party. His sudden disappearance from Taiwan, led to surfacing of various theories, unfortunately none of which were investigated thoroughly by successive governments; leaving people in the dark about one of the most beloved leaders India has ever produced. Subhash Chandra Bose was born on 23 January, 1897 in Cuttack (Orissa) to Janakinath Bose and Prabhavati Devi. Janakinath Bose was one of the successful lawyer in Cuttack and received the title of “Rai Bahadur”. He, later became a member of the Bengal Legislative Council. Subhash Chandra Bose was a very intelligent and sincere student but never had much interest in sports. He passed his B.A. in Philosophy from the Presidency College in Calcutta. 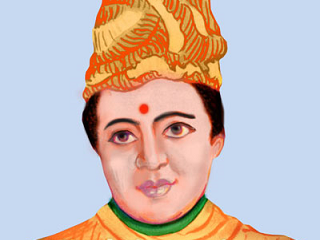 He was strongly influenced by Swami Vivekananda’s teachings and was known for his patriotic zeal as a student. 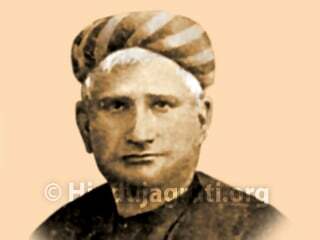 He also adored Vivekananda as his spiritual Guru. Subhash Chandra Bose decided to take revenge, after reading so many incidents about the exploitation of the fellow Indians by the British. In 1916, Subhash reportedly beat and thrashed one of his British teachers E F Otten. The professor made a racist remark against the Indian students. As a result, Subhash Chandra Bose was expelled from the Presidency College and banished from Calcutta University. The incident brought Subhash in the list of rebel-Indians. In December 1921, Bose was arrested and imprisoned for organizing a boycott of the celebrations to mark the Prince of Wales’s visit to India. Subhash Chandra Bose’s father wanted him to become a civil servant and therefore, sent him to England to appear for the Indian Civil Service Examination. Bose was placed fourth with highest marks in English. 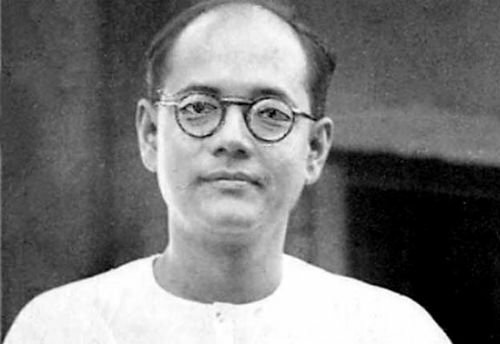 But his urge for participating in the freedom movement was intense that in April 1921, Bose resigned from the coveted Indian Civil Service and came back to India. Soon, he left home to become an active member of India’s independence movement. He, later joined the Indian National Congress, and also elected as the president of the Youth wing party. Subhash Chandra Bose worked under the leadership of Chittaranjan Das, an active member of Congress in Calcutta. 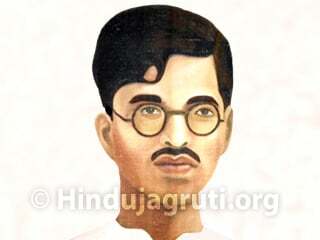 It was Chittaranjan Das, who along with Motilal Nehru, left Congress and founded the Swaraj Party in 1922. 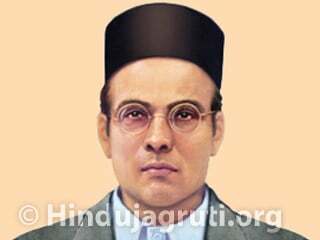 Subhash would regard Chittaranjan Das as his political guru. While Chittaranjan Das was busy in developing the national strategy, Subhash Chandra Bose played a major role in enlightening the students, youth and labourers of Calcutta. He was eagerly waiting to see India, as an independent, federal and republic nation. In freedom struggle congress was large organisation. Subhash Chandra Bose became a strong leader in Congress and he made brave attempt to mould the entire party differently. Congress party was always lenient and never in a position to oppose. Saubhashbabu outrightly opposed this behaviour. This opposition was against Gandhi‘s philosophy. 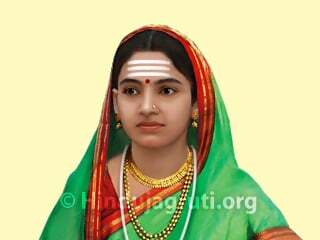 Therefore Mahatma Gandhi and other leaders were hurt and since then they opposed him. Congress party had undertaken a mission of opposing his every thought, insulting him and to stifle his highflying ambitions. In this manoeuvre of congress many a time he felt suffocated. Once there was a picture of ‘Subhash Chandra Bose against entire congress party’. It was first election of congress that time. Usually closer aide of Mahatma Gandhi used to get elected; but this time Subhash Chandra Bose got elected with higher votes. This insulted Gandhi group, which lead to their less interest of thinking towards parties campaign for independence. In order to acknowledge outside support and get freedom he journeyed to far away Germany, Japan when it was period of 2nd world war! He decided to induce soldiers from outside to get freedom. Nehru at that time said “If Subhash would bring soldiers from outside and enter India, then I would be the first person to wield a sword and oppose him.” That was the extent to which he detested Subhash babu. Netaji Subhash Chandra Bose was against rendering any kind of help to the British during the World War II. He warned them so. The second World War broke out in September of 1939, and just as predicted by Bose, India was declared as a warring state (on behalf of the British) by the Governor General, without consulting Indian leaders. The Congress party was in power in seven major states and all state governments resigned in protest. Subhash Chandra Bose now started a mass movement against utilizing Indian resources and men for the great war. To him, it made no sense to further bleed poor Indians for the sake of colonial and imperial nations. There was a tremendous response to his call and the British promptly imprisoned him . He took to a hunger-strike, and after his health deteriorated on the 11th day of fasting, he was freed and was placed under house arrest. The British could do nothing except locking him in the prison. It was in 1941, that Subhash Chandra Bose suddenly disappeared. The authorities did not come to know for many days that he was not in his Barrack (the house in which he was being guarded). He traveled by foot, car and train and resurfaced in Kabul (now in Afghanistan), only to disappear once again. In November 1941, his broadcast from German radio sent shock waves among the British and electrified the Indian masses who realized that their leader was working on a master plan to free their motherland. 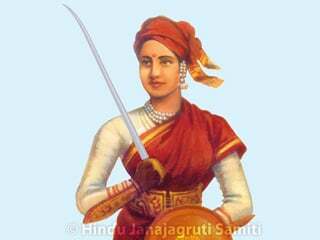 It also gave fresh confidence to the revolutionaries in India who were challenging the British in many ways. The Axis powers (mainly Germany) assured Netaji Subhash Chandra Bose military and other help to fight the British. Japan by this time had grown into another strong world power, occupying key colonies of Dutch, French, and British colonies in Asia. Netaji Bose had struck alliance with Germany and Japan. He rightly felt that his presence in the East would help his countrymen in freedom struggle and second phase of his saga began. It is told that he was last seen on land near Kiel canal in Germany, in the beginning of 1943. A most hazardous journey was undertaken by him under water, covering thousands of miles, crossing enemy territories. He was in the Atlantic, the Middle East, Madagascar and the Indian ocean. Battles were being fought over land, in the air and there were mines in the sea. At one stage he traveled 400 miles in a rubber dingy to reach a Japanese submarine, which took him to Tokyo. He was warmly received in Japan and was declared the head of the Indian army, which consisted of about 40,000 soldiers from Singapore and other eastern regions. These soldiers were united by another great revolutionary Rash Behari Bose. Rash Behari handed over them to Netaji Subhash Chandra Bose. 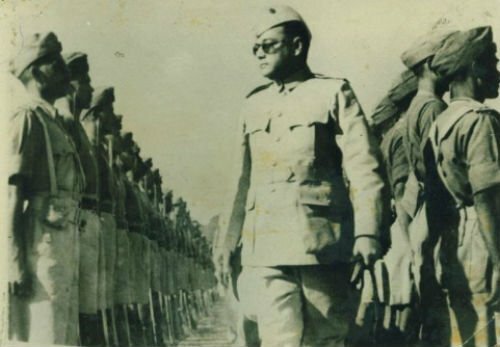 Netaji Bose called it the Indian National Army (INA) and a government by the name “Azad Hind Government” was declared on the 21st of October 1943. INA freed the Andaman and Nicobar islands from the British and were renamed as Swaraj and Shaheed islands. The Government started functioning. Subhash Chandra Bose wanted to free India from the Eastern front. He had taken care that Japanese interference was not present from any angle. Army leadership, administration and communications were managed by Indians only. Subhash Brigade, Azad Brigade and Gandhi Brigade were formed. INA marched through Burma and occupied Coxtown on the Indian Border. A touching scene ensued when the solders entered their ‘free’ motherland. Some lay down and kissed, some placed pieces of mother earth on their heads, others wept. They were now inside India and were determined to drive out the British! Delhi Chalo (Let’s march to Delhi) was the war cry. The bombing of Hiroshima and Nagasaki changed the history of mankind. Japan had to surrender. During his sojourn to England, he met with the leaders of British Labor Party and political thinkers including Clement Attlee, Arthur Greenwood, Harold Laski, G.D.H. Cole, and Sir Stafford Cripps. Bose also discuss with them about the future of India. It must also be noted that it was during the regime of the Labor Party (1945-1951), with Attlee as the Prime Minister, that India gained independence. Although it was believed that Netaji Subhash Chandra Bose died in a plane crash, his body was never recovered. There have been many theories put forward regarding his disappearance. The government of India set up a number of committees to investigate the case and come out with truth.